e is a high concentration of wildlife and seafood. She embarked in a row boat with her cat and now best friend Micah Fay. What psychological strategies did you use to stay for that long? Did you have a specific goal? I set a goal of a year and a half and that’s what I was going to do. That’s basically it. The fact I’m a bit stubborn maybe helped, but it was much more deeper than that. I felt compelled to do this, by something I couldn’t explain. It was a need to live the primitive lifestyle, testing myself or to just experience it was at the bottom of the list. So for me, I couldn’t leave early. If the thought of “What the heck am i doing out here? or “I want to go home” ever entered my mind, I would focus on the beauty around me and that was everywhere, in the raindrop or whale tail. I would focus on the immediate experience, those things rare and exceptional and how blessed and fortunate I was to be experiencing such a thing, even when I was sleeping in a pool of water. I knew the worst of experiences were leading me somewhere bigger and better. If I could find happiness and love or at least contentment in those situations, I felt I could navigate anywhere, with anyone. If you were to give advice to anyone attempting to do what you did what would it be? Make sure you laugh a lot…most especially during the tough times. Become an expert at listening to your intuition. Adopt the motto – “How hard can it be?” Never let others, your own excuses or your fears stop you from living your dreams. What were the main lessons from your adventure? Wow, there were so many… How powerful my thoughts really are, that I truly am a co-creator of my life and can manifest anything I need. The mindset and intuitive abilities is what sets apart a true survivalist, not necessarily the skills or knowledge one has. To worry is just telling yourself and the universe you don’t have faith in your own abilities or trust in the divine energy in and around everything. What were your 3 main sources of calories out there? How did you forage them? I’m not sure about calories. I didn’t look at my diet in quite that way, but I needed big fish I could dry out like halibut, lingcod and salmon, and I trapped and speared bears. I found a huge array of plants for vitamins and seaweed for minerals and found I needed a lot of fat. 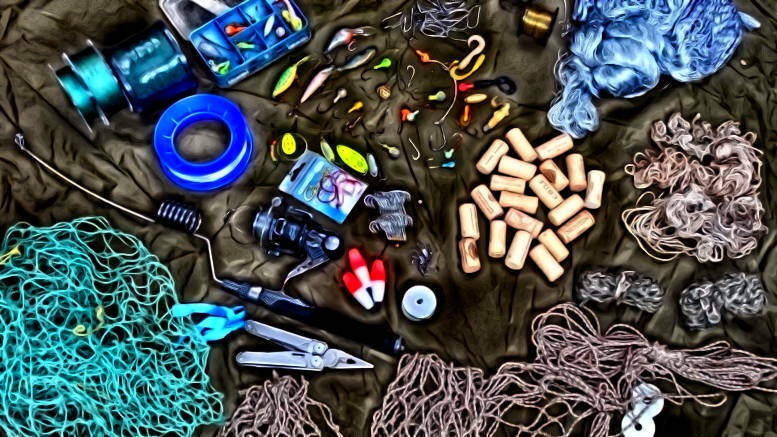 Have you applied to be in a reality survival TV show? Why? I’ve turned down a lot of opportunities, more than I’ve actually applied for or been on. I’ve never gone out looking for a show to be on, if that’s what you mean. I’ve had a lot of production companies contact me, but have only accepted being featured in one show for Nat Geo and a few other documentaries that I knew had integrity and could be trusted to portray the story in the best light. I’m not going to be a part of an unauthentic, fake experience, lacking integrity or one just looking for some drama. I want to star in a “real” reality show that teaches something new, shares the truth of survival, the wisdom of indigenous skills and knowledge, together with the real magic and mystery of nature, and I haven’t found it yet. Would you consider doing another wilderness living experience with a 6 – 8 person group? I’m always interested in new ideas or experiences, especially with an underlying reason for sharing knowledge and helping to raise the consciousness on this planet. She wrote Becoming Wild as a way to share her adventure with friends, family, and the world. I highly recommend her book. 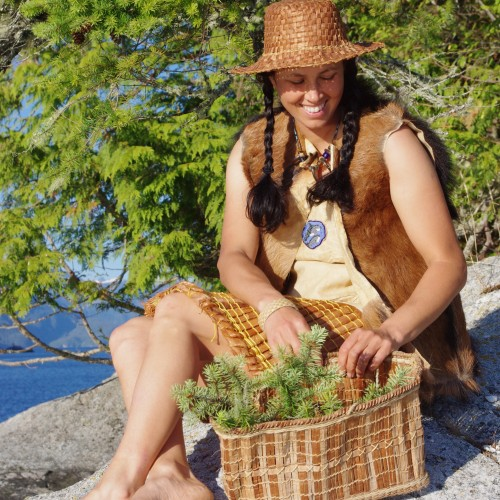 She currently guides ecotourism tours in the west coast of BC through Becoming Wild Ventures. 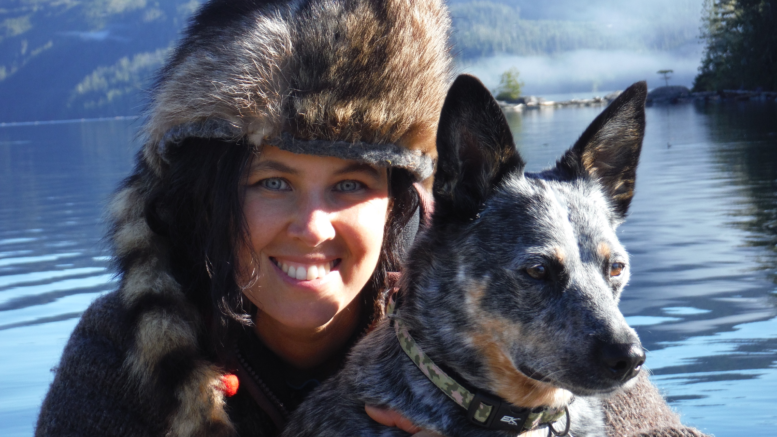 Be the first to comment on "Nikki van Schyndel: Interview and Wilderness Living Lessons"